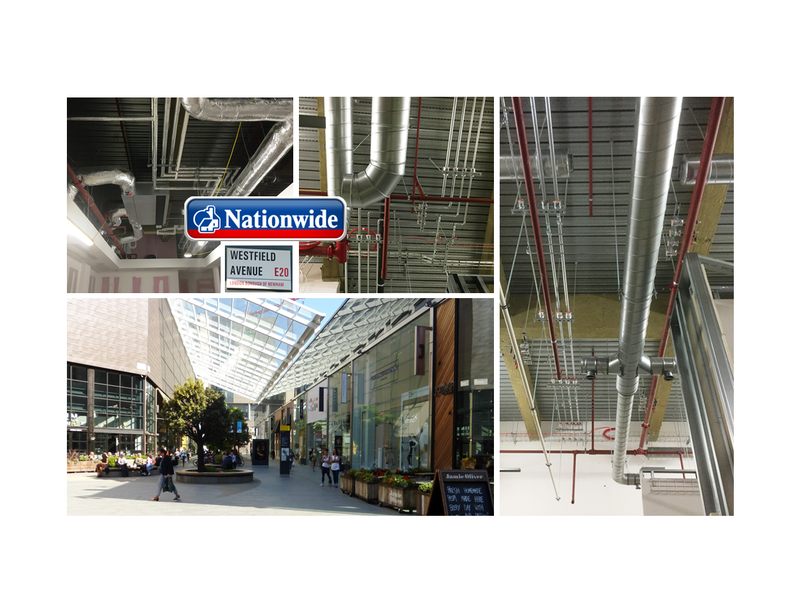 We are currently installing heating, cooling and ventilation services to the branch which is located in the Westfield Stratford City shopping centre. In addition to this we are installing sanitary ware, cold water supply & above ground drainage to the staff toilet & vending/ canteen areas. The photos show the installation in progress and reveal the services that are normally hidden above the ceiling.